A complete communication system is broken down into a number of protocol layers each of which provides services to the layer above it and uses services provided by its underlying layer. A service specification defines a particular ordering of the operations that a given layer provides to the layer above it. The active elements in each layer are called entities and they use a protocol in order to implement their service definition. On the basis of this relation between the service and protocol concepts we have developed algorithms for deriving protocol entity specifications from a formal service specification. The derived protocol entities ensure the correct ordering of the service primitives by exchanging synchronization messages through an underlying communication medium. 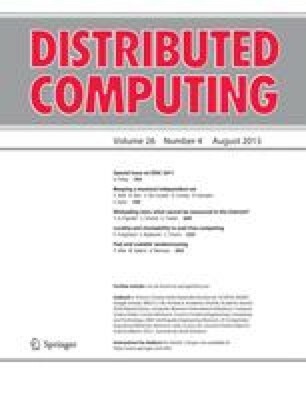 This paper presents an extended version of our earlier derivation algorithms. This version of the algorithm can handle all operators and unrestricted process invocation and recursion as defined by basis LOTOS. The correctness of this derivation algorithm is formally proved.